BOSTON, MA--(Marketwired - December 12, 2017) - O'Reilly Media has been selected for Training Industry's 2017 IT Training Top 20 List. The award, for "the best providers of training services and technologies," recognizes O'Reilly's innovative training resources, which include Safari, the company's comprehensive learning platform, in-person conference and training programs, and instructional books and videos on technology, design, and business. 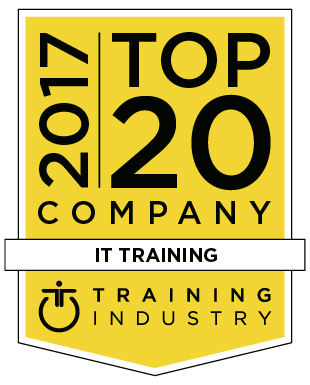 "We're delighted to be chosen as a Top 20 company by Training Industry," said Karen Hebert-Maccaro, O'Reilly's Chief Content Officer. "O'Reilly has dramatically expanded our training offerings in the past year, including launching our extremely popular live online training courses. This award, which comes as we embark on our 40th year of providing learning resources to the tech industry and beyond, is a welcome confirmation of our work. And of course, we share the credit with the incredible network of experts who create our training resources, as well as our more than two hundred learning partners, whose content is available on the Safari platform." Safari is an essential element of the learning and development strategies implemented by Learning and Development and HR leaders and line-of-business managers in forward-thinking companies, universities, and government agencies. For more information on O'Reilly's training products and services, please visit https://www.oreilly.com. For almost 40 years, O'Reilly Media has provided technology and business training, knowledge, and insight to help companies succeed. Our unique network of experts and innovators share their knowledge and expertise through the company's Safari training and learning platform and at O'Reilly conferences. As a SaaS learning platform, Safari delivers highly topical and comprehensive technology and business learning solutions to millions of users across enterprise, consumer, and university channels. For more information visit oreilly.com.